Welcome to February. How are y&apos;all doing on your resolutions one month into 2018? If your goal was to stay organized and you already need a little encouragement (no judgment--we feel you! ), we have some easy tips and tricks you can implement today to get things back in order ASAP. You probably gained a lot of "stuff" this holiday season. I know I did. My kids, too (thanks, Santa). Now is the time to sort, streamline, and downsize your belongings. Don&apos;t be overwhelmed, start one room at a time. Create donation piles for toys, clothes, and everything in between. All those art projects you&apos;ve been hanging on to--decide which ones are keepers and which ones should be gifted to Grandma and Grandpa. Don&apos;t get too emotional about anything. Things are just things, after all. If you haven&apos;t used it, worn it, played with it, or admired it in six months, do as Elsa and "let it go." We&apos;ve shared our love for customizable labels before, and we&apos;re still singing their praises. They help keep us organized and keep our kids&apos; winter accessories out of the lost and found! Now is a great time to get yourself some Mabel&apos;s Labels. You can use them to sort spices, organize craft supplies, and separate toys. The organizing opportunities are endless. Plus, they&apos;re super durable! Establish a schedule and you&apos;ll set yourself up for success. Beds should be made every morning (you&apos;ll be amazed at how this will give you a mental boost). Empty the sink every night--whether that means a hand-washing or a load in the dishwasher. Launder the sheets once a week. Do a ten-minute straighten-up every evening before bed. Making these cleaning rituals a regular routine will ensure you home stays spick and span. The biggest challenge in cleaning and organizing is figuring out where to put the stuff (you know, #allthethings). Everything needs a designated home--from the TV remote to miscellaneous kitchen gadgets to the kids&apos; knick-knacks. This is where labels, once again, become key! 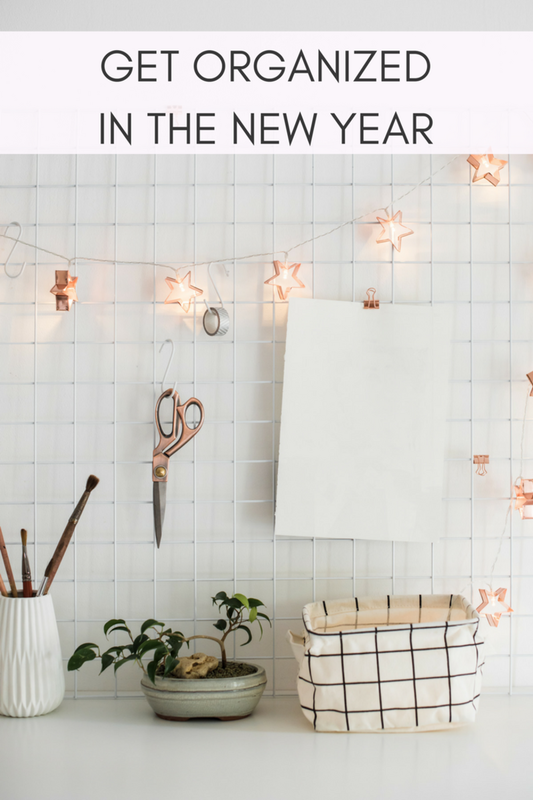 Don&apos;t arbitrarily put things away; straighten up with intention and you&apos;ll stay organized this year and beyond.